Last Wednesday, Dan the Man and I were finally able to install the furniture and design elements in the little area off the laundry room. 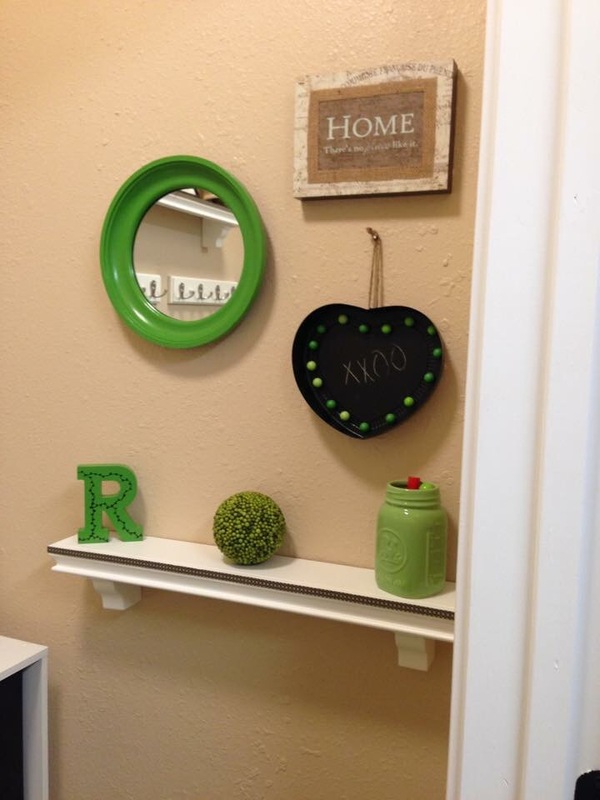 There’s a place for sitting to take your shoes off, a mirror to check your hair before departing the house, plenty of hooks for coats and backpacks, a bowl for keys or change, and several accessories that make the room cute and inviting. The pictures don’t do it justice, but the kids say they like the room, and I’m happy to have this project behind me. Now onward to the move-in day! 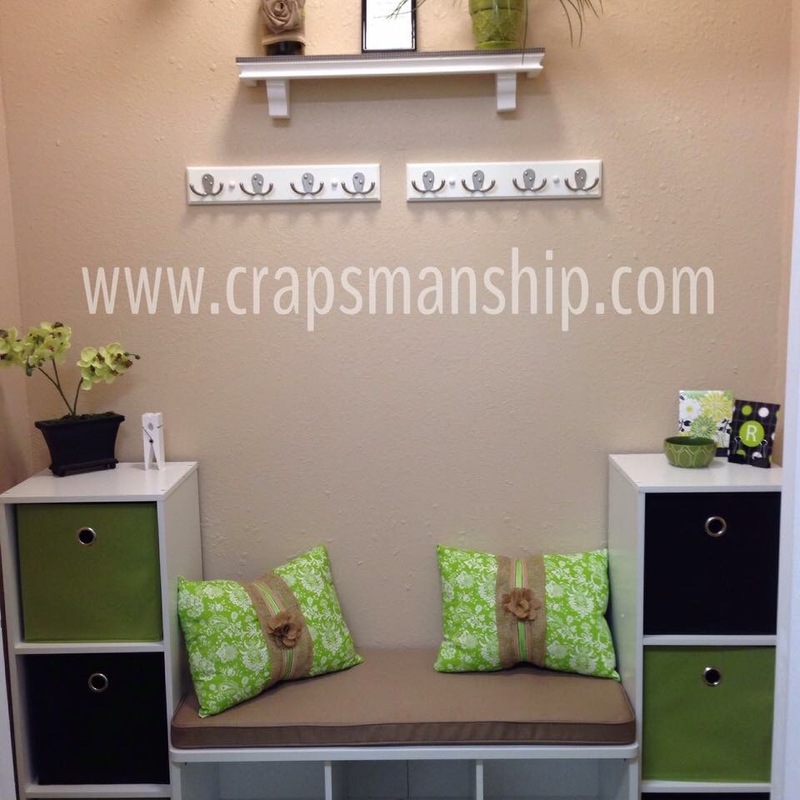 very cute, where did you get the little cabinets and bench? 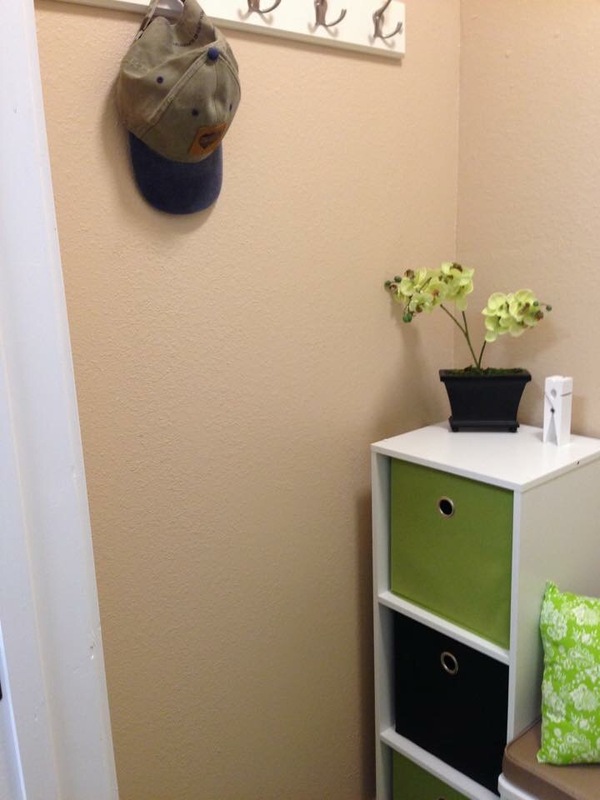 I love the mud room! Would not want to mess it up!! The bright colors are great!